Honda Cars India Limited (HCIL) has launched special editions of the City, BR-V and the WR-V models in India. In a press release, Honda states that these special editions are being introduced at the onset of festive season. We believe the special edition will further enhance the appeal of these cars in the Indian market and also make it more competitive against its rivals in India. The Honda WR-V Alive edition is priced at Rs 8.02 lakh for the petrol and Rs 9.11 lakh for the diesel models, commanding a premium of Rs 24,000 over the S variants. Here are the additions that it gets over the regular S grade. The Honda WR-V Alive edition comes equipped with 16-inch diamond cut alloy wheels, rear camera with IRVM display, rear parking sensors, seat and steering wheel covers with special edition logo. Additionally, the Honda WR-V Alive edition comes with Honda Connect with 1st month subscription free. 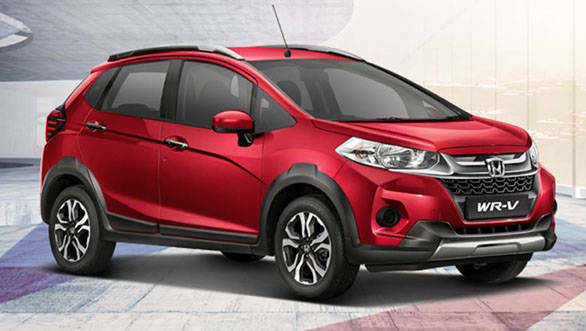 Also, the Honda WR-V will be available in radiant red metallic shade that will be offered in all grades of WR-V. Mechanically, the Honda WR-V Alive edition remains unchanged. It is offered with a 1.2-litre i-VTEC petrol and a 1.5-litre i-DTEC diesel engines. And both can be hand only with manual transmissions as of now - 5-speed and 6-speed respectively. Here is a link to our Honda WR-V review in India.